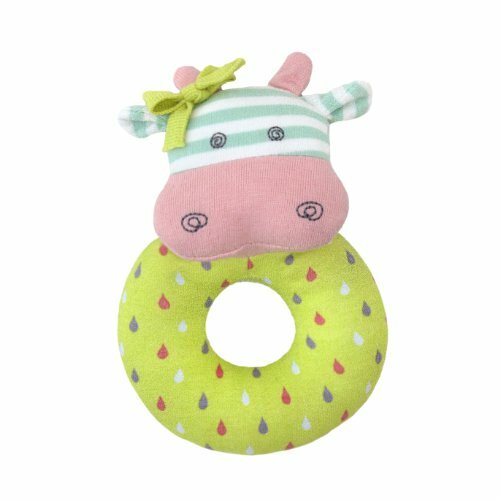 If you're looking for some cute cow toys for babies, there are some super sweet items that you can get. 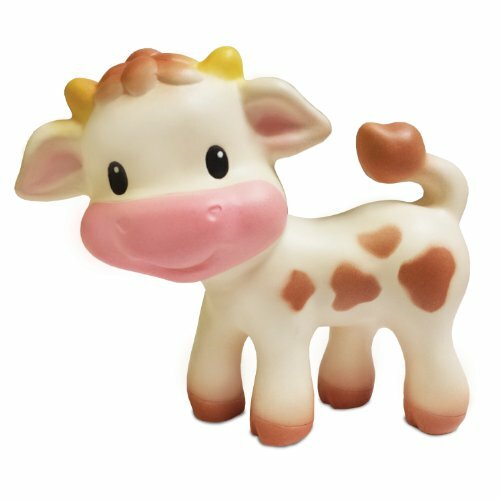 These barnyard cows feature on gifts including baby blankets, rattles, activity toys and soft cow plush toys too, mooooo. 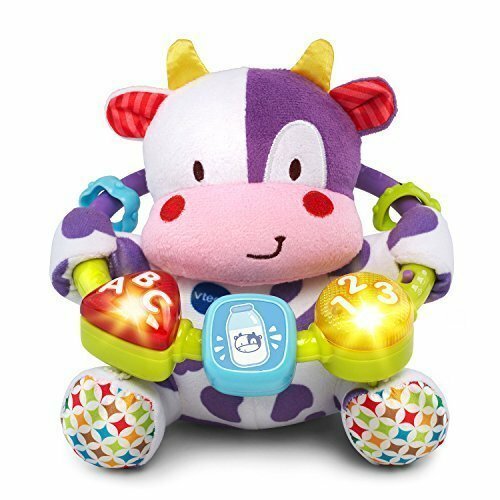 Baby suitable cow toys are perfect as gifts for your own little ones and also for another child. They are often bought for themed baby showers and birthdays. 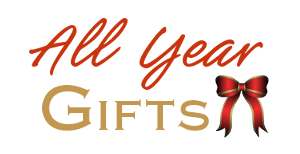 You'll find a sweet selection of choices on this page. ⭐ Look out for baby toys which are both fun and stimulating. For a baby who can hold and grasp items well, how about a large cow rattle. These make for great cow toys for babies and especially from newborn to toddler stages. Some rattles have baby safe mirrors attached and most babies love to investigate their faces in the reflection and study their own faces. Other rattles feature squeaks and handles with textures that young children like to explore. Young babies love looking at themselves and are often fascinated by mirrors. 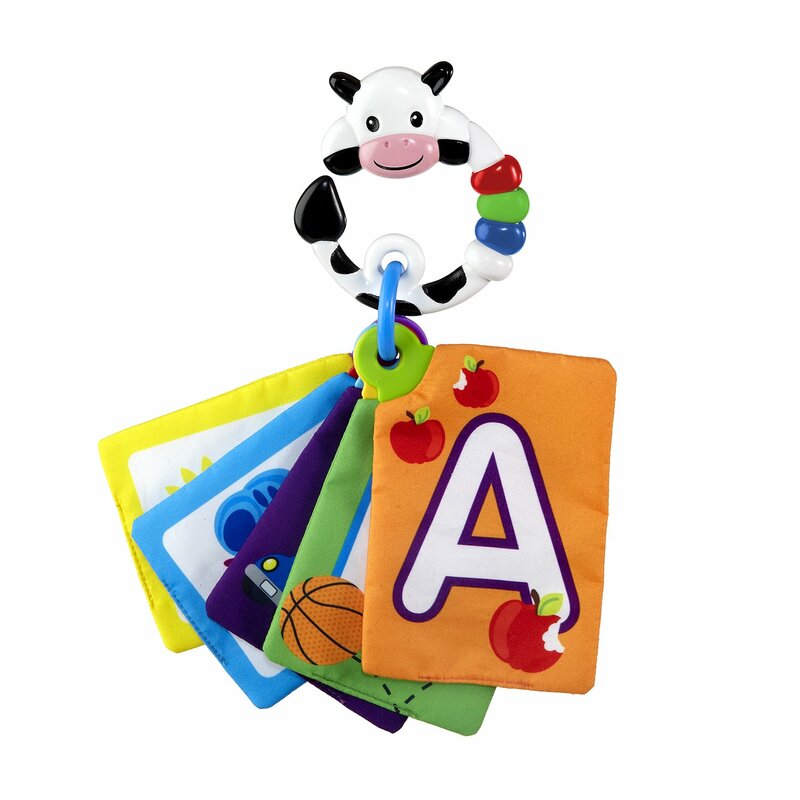 Look out for a cow rattle that will clip onto other items such as high chairs and car seats so you can take it out and about in the car or in a stroller to keep the child amused too. Lots of laying down fun can be had by a baby who is playing with a bright and colorful farmyard activity mat. There is a large 34 inch activity mat, not shown, that has a blue arch that a baby can lay under to play with the hanging toys. The activity mat comes with 5 detachable toys including: a musical fleece lamb, a crinkly and squeaky duck, bunny rattle with a teething ring, chiming plush piggy and a cute cow with a baby-safe mirror. There are 12 hanging loops on this mat to place other baby toys on to, so there is plenty of room so you can also add some more. Laying down needn't be boring for little children and activity mats can provide lots of farmyard fun. How about Patches the cow plush ideal for hugging. This plush can provide a baby with different sensory experiences due to the range of textures and colors of the fabrics used. It also has different sounds to listen out for in each of the animal's hooves. This toy is suitable from 6 months of age and upwards. 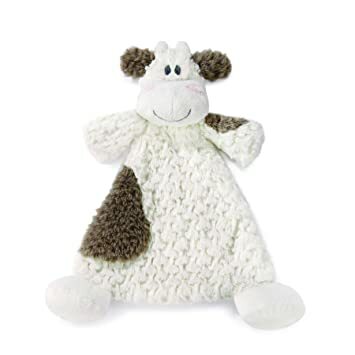 If you haven't yet seen the right baby cow toy as yet, I would also advise looking at the toy selection you can get from your local auction sites which have even more to offer you. Another item to think about is a sweet black and white cow blankie. There is a super sweet and soft cow print lovie or blankie which has a plush animal head in the middle and a satin like white trim all around. This charming and sweet item is good for babies to look at because of the easy to see and contrasting black and white colors. The 17 inch cow blanket is soft and easy to hug. It should make for a cute plush pal for a newborn or older baby. Packaged delightfully in a crescent moon gift box with just the cow's head poking out, this could make a superb baby shower gift for a newborn. 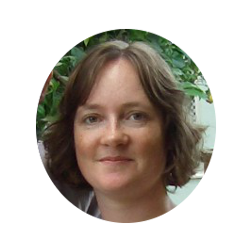 It could make a great comfort blanket to help settle the little one no matter where they are sleeping. Lots of people choose to have a cow, barnyard, farm or Western cowboy or cowgirl theme for a baby nursery. These barnyard animals are perfect for babies to learn to recognize because of their distinct colors and sounds. So let's get looking for the best choice for you.